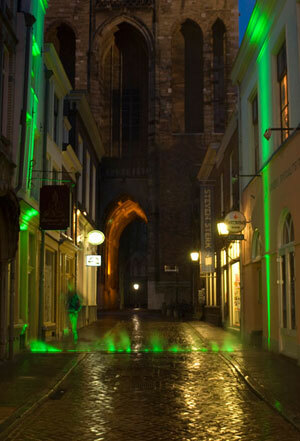 According to Landezine, Dutch landscape architecture firm Okra just completed a project that creates a line of light to elegantly highlight an archeological treasure at the heart of Utrecht, a city in the Netherlands. 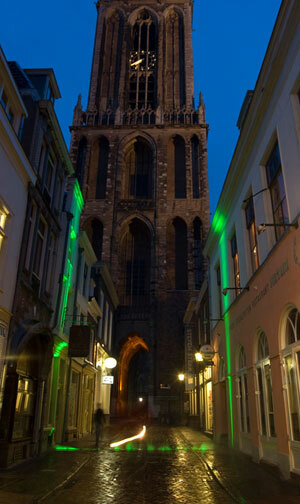 Utrecht is actually built on top of a castellum, a Roman fort once used as a watchtower or signal station. In this project, the castellum wall, which lies more than 12 feet underground, now becomes a new “reference point” in the street and square. At night, the ray of light only stops at the castellum gates. 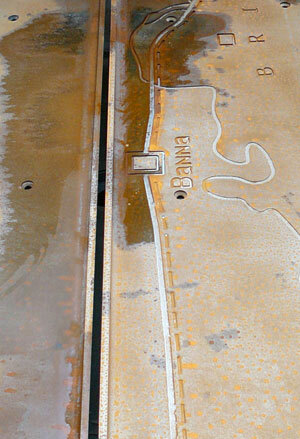 Okra also designed the project so “fragments of smoke” come out of the gutter’s metal plates, adding mystery to the light. It’s not clear what the smoke is or what system generates it. 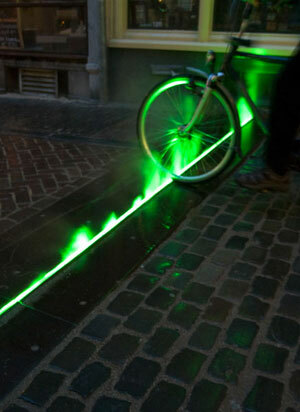 In addition, the light line is even more visible when it rains or mists. Explore Landezine, a photography blog focused on global landscape architecture works. Also, delve into Vulgare, another photography blog that features a number of beautiful contemporary landscape projects in Europe.